Karen Stalba and her A/Fuel Dragster Team to make Exhibition Passes at Atco Dragway!! 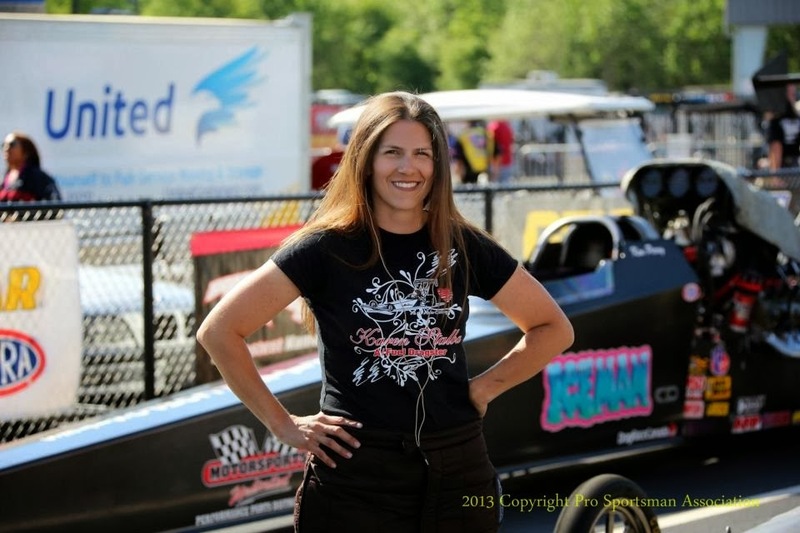 Due to many activities happening at once with Business and Children, Karen and the team have decided to pass on this weekend's Lucas Oil Drag Racing Series Event In Lebanon Valley, NY. The team is also looking to do some testing to be ready for the Summit Equipment Nationals in Norwalk, Ohio on July 4th weekend. Instead of the points race, Karen will be participating in the Anniversary Thrill Show at Atco Dragway this weekend on June 14th. See link below for details and check out the attached flyer! Hope to see some of you out there, Karen will have Driver Handouts available and a limited supply of t-shirts so get yours while they last!! HAMMONTON, N.J. (February 12) – Top Alcohol Dragster driver Karen Stalba and her AA Auto Salvage team have been busy over the offseason, doing everything they can to bring home another regional championship. Karen has been securing new additional marketing partners, while her team has been working over every aspect of her nitro-burning A/Fuel Dragster. The New Jersey-based group hopes their efforts will bring the car back to its race-winning ways of 2011. Stalba, who won the 2011 Division 1 TAD championship, struggled to perform over the last two years, winning once last year. Karen believes her team's work over the winter, as well as the introduction of new A/Fuel rules, will help bring a higher level of performance to the program. “We found a lot of problems and inaccuracies over the winter. We had a few 'aha moments'. The team has looked over everything, making sure we have a good tune-up and the right components to start with this season. As far as the new rules, I think the added percentage of nitro will help, especially in the hot weather. Before we start playing with the new rules, we need to get our tune-up from last year sorted out,” said the mother of two. The new rules, introduced to the TAD class in December 2013, are meant to benefit the nitro-injected A/Fuel dragsters. A/Fuel teams are allowed to use 95% nitromethane fuel, up one percent, chilled ten degrees cooler than last year's minimum temperature, running through an insulated main fuel line. Karen Stalba will hit the track this April with new sponsors and continued support from several team sponsors. “I'm happy to welcome NGK Spark Plugs and MAHLE to the team, who will be providing us with associate sponsorship. I'd like to thank Kris Zdral at NGK and Bill McKnight at MAHLE for choosing to support our team this year. This will also be our fifth season with Lucas Oil. We'll continue to have AA Auto Salvage, MX Industrial, and Sheetz Electric on-board with us again,” Stalba said gratefully. Karen also extends thanks to Boninfante Friction and Goodyear for the support they have provided. Karen's family-based team will also be back for another season of NHRA Lucas Oil drag racing. Husband Tom Stalba also helps when he can, but he will be doing double duty this year, racing in many events and several classes, including Comp Eliminator, Super Comp, and Super Gas. 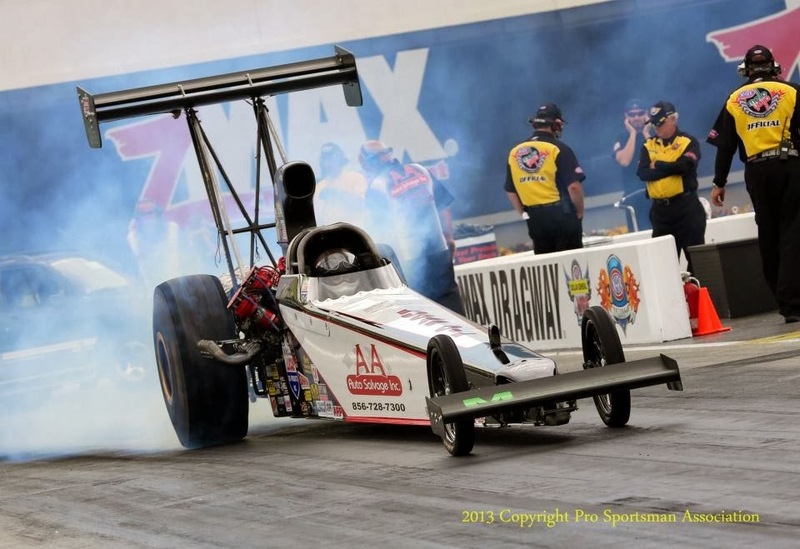 Stalba and the AA Auto Salvage A/Fuel Dragster team plan on attending at least seven regional events and six NHRA Mello Yello series national events, chasing the elusive first national event win. They will start their season at the first East Region event of the year at Virginia Motorsports Park, April 4-5. Karen Stalba is the 2011 NHRA Division 1 Top Alcohol Dragster Champion. She drives the AA Auto Salvage/Lucas Oil A/Fuel Dragster in the NHRA Lucas Oil Drag Racing Series. The team's co-crew chiefs are Tom Benkovich and Erick Cindrich. For more information on Karen Stalba and the AA Auto Salvage Racing team, please visit www.karenstalba.com. Fans can follow Karen Stalba on Facebook (www.facebook.com/stalbamotorsports) and Twitter (www.twitter.com/karenstalba). Exciting Finish Follows Dismal Start! Flash back to Thursday’s test session. We have been struggling all year with our tune-up, and just when we thought we had it turned around, we would fall back again. Going into the test session, we thought we knew the new direction we needed to take. WRONG! We smoked the tires on both test shots, and we were completely dumbfounded. These A/Fuel cars can truly humble a person. We didn’t know what to do. Friday came and Q1 was a nightmare. We smoked the tires without the car moving a couple inches. Luckily for some good friends and former racers, we got some answers. Rich Bozzelli and another person who is familiar with the class (thanks John!) saw our passes on the starting line, and after checking out the Racepak data, they both concurred that our problem was with our fuel system. We made some wholesale changes to get ready for Q2 and they worked! Although we qualified on the bump, we were still qualified. As long as you are in, you have a chance. Never quit! First round we faced John Finke who has been on a hot streak, and luckily for us he smoked the tires. I know that these guys are running for the Regional Championship, but we were trying to salvage our season and we all have to earn it. Second round I was nervous figuring that John’s team car driving by Jackie Fricke would make a solid run after seeing John’s run in the first round. We made our best run of the weekend, 5.48, to beat Fricke’s tire smoking pass. I couldn’t believe it. On to the final after struggling to qualify! This is where we ran into more drama! We hurt a cylinder head in round 2 and had to thrash to change it before the final, and we had some serious help from the Tom Jones gang. They are truly some of the greatest friends and I consider Tom like an uncle, so we are truly grateful that they stepped in and helped us, and thanks to the Gallant team and Dan Page for being classy and giving us those few extra minutes to finish up. Forty five minutes in between rounds is a tall order for us in the Alcohol classes! Dan Page and I have this thing going where we are constantly meeting each other in eliminations! I seem to have his number, and I truly was hoping he’d win the Regional Championship, but I really wanted to win the race. They put us in the right lane, which was the lane everyone was struggling in, and we were prepared for the bad spot in the track. Dan dropped cylinders off the starting line, I did my job on the tree and the car only fell off slightly in performance because we softened it to get it past the bad area on track. I went through the finish line thinking how unreal the whole weekend felt. The safety safari guys said they knew I won each round because they could hear me screaming hundreds of feet away as I pulled the parachutes! Special thanks to my Safety Safari top end gang for the bows! So from here, we are headed to Charlotte and Reading possibly. Might have some things in the works to finish up the season on a really good note, but for now, those are our last races. Wish we could have been to more, but we really didn’t want to show up and be mediocre and not represent our sponsors and supporters as well as they should be represented. We plan to get back on the top in the 2014 season. Huge thanks to Lucas Oil Products for keeping the faith, Boninfante Friction for terrific clutch products and the support, Ernie Kendall and MX Industrial Products, Sheetz Electric, A.A. Auto Salvage, Inc for keeping us on the road! Hopefully we’ve turned a corner (although in drag racing that is probably not the smartest thing ;)) Stay tuned! In the meantime, check out these great stories and visit our sponsors and those who supply us with great product and support! Also stop by the web store and get your t-shirts. White t’s are on sale and the ladies t’s are free shipping in the States! June 10, 2013: Being a Mom and Wife while assisting at running two businesses has definitely gotten in the way of updating my website lately! Don’t get me wrong, I love all of it, even when I don’t get keep everyone as up to date as I could! Last year was such a struggle for us with the A/Fuel car that it made it hard to want to talk about the bad times, but we have had some very positive results as of late and are looking forward to better results from here on out. After finally getting the kids to bed and having a quiet few hours while Tommy plays hockey, I thought I’d get on here and give a quick update of our season since Richmond, so here goes!! zMax Dragway is always a great place to be, a lot of excitement with the pro classes running 4 cars at once and the facility is just beautiful. The team and I rolled into Charlotte and got to work quickly installing a brand new set of Alan Johnson Muscle Head Cylinder Heads. We came to the conclusion after Richmond that we just did not have the compression we needed with our used heads and had to make a change. Dad, Erick, Mike and Jerry got to work and we were ready for Q1. After the first two Qualifying passes, we were kind of lost. Since we had fixed our compression problem, we discovered that we had Clutch Problems. A fellow racer gave us some great advice for what to do with our discs until we could get some new ones and get on a better clutch management program. Along with that advice and a look at some data from the year we won the Division 1 Championship, we made some tuning changes and were able to move into the #12 spot for the 16 car field with a pass at 5.44 seconds at 260mph. We could not, however, find the performance we needed to get past Ken Perry first round, for we slowed to a 5.52 against his 5.34. We left Charlotte pretty beaten down, and vowed to not attend any races until we had a chance to test and talk to someone about some good clutch discs. Rain, rain, why must you save yourself for the weekends when we are trying to test? After our disappointment at Charlotte, we made some phone calls. Erick, Jerry and I talked with Bob Malloy and Rob Boninfante at Boninfante Friction. I have to send a huge thank you to these guys and this company for helping us get back on the right track. We had some discs from another source that would not work no matter what we tried, and Bob and Rob worked with us to help us find the right discs for our application. So, new discs in hand, we headed to Atco Dragway where they always treat us like stars and set up for a weekend of testing. The air conditions on the first Saturday of May were like not many we ever see through the racing season, and with new cylinder heads, we were being very cautious. First pass out, smoked the tires. Next pass out was planned half track pass, but I shut off at 800 feet. The car ran the best early numbers it had run in over a year! 218 to the 1/8 mile was better than we had seen, and the clutch worked how it was supposed to. The guys at Boninfante were in touch throughout the weekend to make sure we were doing o.k. and to help us settle in on the proper disc for our application. Can’t thank those guys enough! That Sunday, we tried something with the timing, but either the car didn’t like it or the track just couldn’t take it, but it smoked the tires immediately. Second pass was promising, but it went out and shook really bad at about 2.5 seconds and I had to lift. It was a Tylenol-necessary moment! After what we felt was a pretty successful weekend, we planned to head to Atco the next weekend also, however, the next Friday night an unplanned engine swap due to a broken main cap and the miserable RAIN had other plans for us. We were unable to try to test, and the following was no better! After sitting around that final Saturday before the Maple Grove event, we got our chance to make a pass, with Frank Schuster in the Tom Jones car behind us. Finally! So I roll up for the burnout, with a few small drops on the windshield. No worries, it had come and gone all day like that. Well, a no such luck!! As I backed up, skies started to open, had to shut off, and the rain never ceased! Sunday was a complete wash…let the upset stomachs and butterflies begin in anticipation of going to Maple Grove with what we thought was no clue! I think I need to start stocking Pit Vehicle Sickness Bags in the Tracker so we are prepared in the staging lanes!! Arriving at Maple Grove with 15 other dragsters fighting for a spot in the 8 car field, we definitely had butterflies! First pass out cleared those right up! We had a great pass of 5.38 @264mph to put us in the #2 spot. It felt great to finally have a fast pass again and take some pressure off. Final qualifying pass we improved to a 5.36 @265mph and only Bill Reichert moved around us to push us to the #3 spot. First round we faced Wayne Morris and again with a consistent pass of 5.39 @263mph, and got away with one, because a small timing curve issue almost had us smoking the tires! Ultimately, we lost in the semi-finals to Bill Reichert, who ran a 5.36 to our slowing 5.41. We at least have data from the run to show us trends and get us moving again in the right direction. Next stop for us is Lebanon Valley Dragway for the Lucas Oil Drag Racing Series event June 14th through the 16th. Hoping for even better results and can’t wait to get racing! Special thanks to all of those that support us!! Special thanks also to my family and crew for keeping at it even when we were lost and looking to climb out of the hole! Also, if you haven't had a chance to check out the new ladies style t-shirts, visit the webstore or see us at the track! The team is excited to get to Virginia this weekend to see if their hard work pays off. This is the first stop of back-to-back weekends of racing. The team heads to Charlotte, NC for the zMax Dragway 4-Wide Nationals April 19-21, 2013. 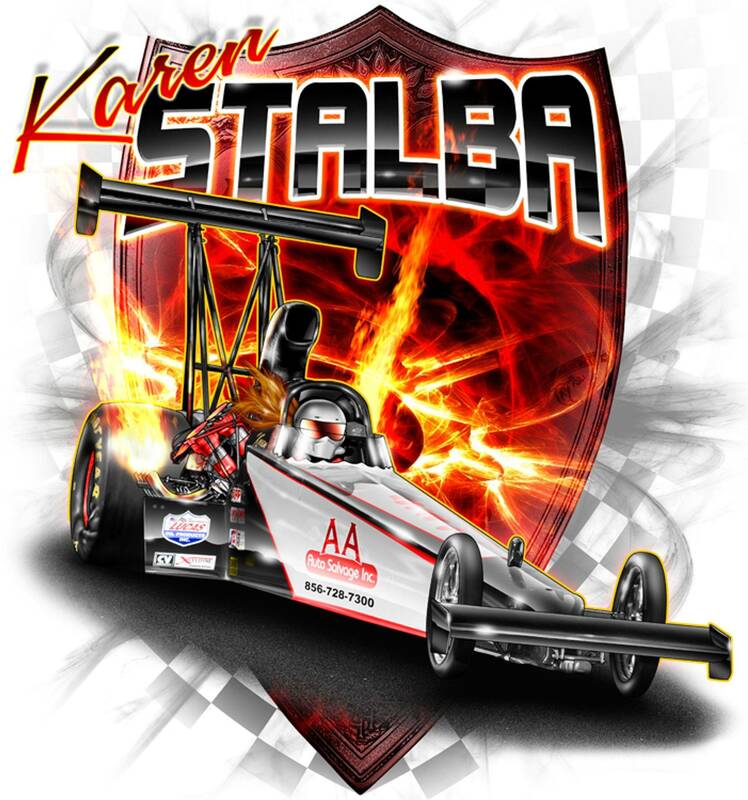 Follow us on Twitter @KarenStalba and on Facebook at Stalba Motorsports for updates from the track! 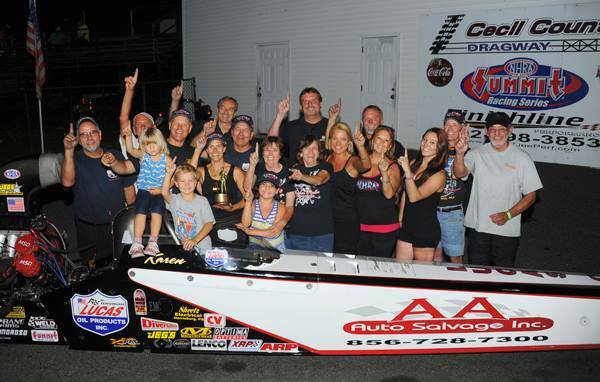 The A.A. Auto Salvage, Inc A/Fuel Dragster team just returned from Gainesville, Florida after a moderately successful weekend. Weather conditions were something amazing, and the entire team was nervous about the first qualifying pass of the season on Friday. Nerves proved to be right, for we went out and smoked the tires for the first pass. We, however, were not alone, for many teams struggled with the conditions. Jerry Darien and the guys set to work to see what changes to make for the second pass, and the changes worked, for we ran 5.43 @ 258mph. We all breathed a little easier, for that was one of our best passes in almost a year. The weather continued to be a bit tricky, however the sun was shining the entire time and on Saturday we were ready for our final qualifying pass. Knowing we were unable to be bumped, Jerry made a couple adjustments, but we slowed from our previous pass. We were trying to get a bit aggressive and see how much the track would take. We did run another 5.4- pass so it was encouraging. First round we faced Randy Meyer. He, too, struggled in qualifying until Q3, but he was a tough draw. Randy ran a 5.36 to our 5.47. It was a good race, but we lost. We do have some great data to move on to our next event with. In three weeks we will head to Virginia Motorsports Park for the Lucas Oil Drag Racing Series Regional Event. Thanks to my mom for staying home to help with my kids while I was away..her birthday gift was me leaving her with my kids!! I owe her big time! Special thanks to Jerry Darien for working to get our program fine-tuned, to my dad (Tom), Erick, and Mike Murphy for working their tails off to get the car ready for an early start to the season. Thanks to Charlie Yannetti for delivering the truck and trailer with my car safely to the track and for the assistance. Continued thanks to those companies that help support our racing efforts. Please check out their websites below for some great products. Until next time! Also, be on the lookout for some new ladies style t-shirts due to be available on the website in a couple weeks and trackside! After a 2012 Racing Season that was not much worth writing home about, we are back and looking to be better than ever! The 2011 Season here at Stalba Motorsports was a great one with a Division Championship in Top Alcohol Dragster in only our 2nd season with an A/Fuel combination. In an attempt to modify our tune-up to not burn up so many parts we lost our way. We fought and fought tire smoke, ignition problems, too much power, not enough power, all in a losing battle. Our best finish was a semi-final appearance at the Lebanon Valley Regional Event, and we did not qualify at any other division races. At the end of the year, we were desperate to learn what was going wrong, so Tommy Stalba called in some reinforcement..one of the best in the business, Jerry Darien. Jerry came out to Maple Grove with the team to see if we could figure things out, but we still struggled, although we did learn a lot from Jerry and we were “mad, but not suicidal” about the results as Jerry would say! The guys have been hard at work for the 2013 season, and we are pleased to announce that Jerry Darien will be joining the team as crew chief. Over the winter Tom Benkovich and Erick Cindrich along with Jerry’s help discovered that one “simple” engine component change between the 2011 and 2012 seasons caused us to lose a ton of engine power and no matter what we did, we were not going to overcome it. Now that that problem has been discovered, we are more confident than ever that our tune-up should have produced better results and hope it shows this coming season. Jerry has been studying the data and we hope he is as excited to join us as we are to have him on board. The guys and I plan to start the season in Gainesville, Florida for the Gatornationals March 14-17, 2013 and from there will do a minimum of 13 more races. Our schedule will be available shortly on the website calendar at www.karenstalba.com.